Mobile broadband is an extremely popular and convenient way to connect to the Internet on the move. All of the major mobile providers in the UK, 3, Vodafone, T-Mobile, O2 and Orange operate large 3G networks that are capable of speeds ranging from 3.6Mb through to 14.4Mb and users are given the option to connect via a USB mobile broadband dongle, MiFi, or WiFi device. On the whole, 3G coverage in the UK is good with networks claiming 90% coverage nationwide; however, there is room for improvement which the networks readily concede by the constant introduction of new masts to increase coverage further. The networks are working to increase mobile broadband coverage and connection speed, and so can you by following our 14 simple steps. 1. Your location when using mobile broadband is a large factor determining the speed and reliability of your connection. Consider that when using a mobile phone your phone signal will vary depending on where you are located; this is the same for your mobile broadband. Your mobile broadband connects to a mobile phone providers 3G network so you need to ensure that you are in a position that will maximise your chances of a strong connection. 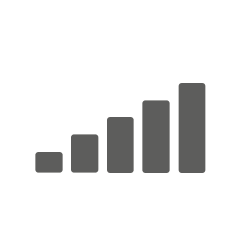 Use a mobile broadband coverage checker to see how strong the signal will be in your area. If it is weak, consider using another network or go to an address that has a stronger signal such as a friend or family members house. 2. If you have used a mobile broadband coverage checker and your home address checks out as having a strong signal, but your connection is poor, your signal maybe being hampered by physical constraints such as walls or other buildings. Try moving around the house whilst using you mobile broadband to find a “hotspot”. Usually the areas in a home that will typically have the strongest signal will be upstairs, near a window, with few blockages between the USB modem dongle and outside. 3. Seek to increase the range of your USB dongle by using a USB extension lead. In other words, rather than connecting the dongle directly into the USB port of your PC or laptop, connect the dongle direct to one end of the extension lead and connect the other end of the lead to your laptop USB port. This way you will be able to place the dongle on or near a window ledge to maximise your chances of getting a strong 3G signal on your chosen network. 4. Ensure that the dongle firmware (the software used to run the dongle) is the latest version available. You will be able to check what firmware version you are running by checking the version number on your software. Make sure this matches with the latest version as shown by your network or dongle manufacturer and if it doesn’t, download and install the latest version as this can help to iron out any bugs and help to increase signal strength and connection speed of your mobile broadband. 5. Check the specification of the mobile broadband dongle itself. You may have a modem that is only capable of 3.6Mb speeds when the network actually supports a much higher speed such as 7.2Mb. 6. Check the maximum speed that your mobile broadband carrier will support. For example, O2 currently support a maximum of 3.6Mb, whereas a number of other mobile broadband providers in the UK are capable of speeds up to 7.2Mb with Vodafone currently trialling 14.4Mb in limited areas. 7. Mobile broadband 3G networks can potentially become congested during peak hours which may cause a slowdown in service. Consider using your mobile broadband in off-peak hours to see if your connection speed increases. 8. A number of mobile broadband dongles allow the possibility of attaching an antenna extension with a view to boosting the 3G signal to the dongle. There are a wide range of antennas so make sure that your dongle will support the antenna booster before purchase. 9. Use a 3G signal repeater to boost the 3G signal to a wider area within your home so you do not have to use your mobile broadband within a small radius of the mobile broadband hotspots within the house. 10. Vodafone have a device called the Sure Signal which is a signal booster box which can be connected to the household broadband in order to boost the 3G coverage throughout the house for up to 4 different users. This can only be used if you have a fixed line broadband connection which would be unlikely if you favour using mobile broadband. 11. Make sure that no CPU intensive background programs are running unnecessarily whilst you are using your mobile broadband because this could slow down the performance of your computer which could give you the impression that your broadband is running slowly. For example if you are running a peer to peer application in the background, downloading files, using Skype or streaming video, your broadband speed will suffer dramatically if you try to also surf the web with any of these applications running at the same time. 12. A simple way to increase the speed with which you can surf the web is to install a more efficient web browser. Modern browsers such as Mozilla Firefox or Google Chrome typically run faster to view webpages than the legacy Microsoft Internet Explorer browser types. 13. Install a download accelerator such as at http://www.speedbit.com/downloads/ or http://portal.onspeed.com/ which uses compression technologies to optimise the size of the webpages that you view so that they will load faster. These technologies can work for online text, html objects, email, Microsoft Office products such as Office, Word and Excel, photos, and flash files. 14. As a final resort if you are not satisfied with the connection speed or reliability of your mobile broadband you could contact your mobile broadband provider and request their advice as they may be able to suggest improvements that could be made in order to increase your mobile broadband signal quality.